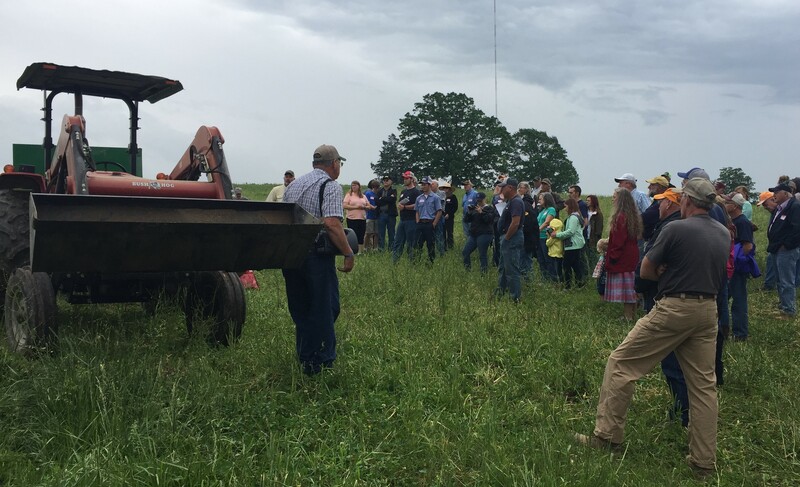 The Naional Resources Conservation Service (NRCS) has announced an application deadline for Tennessee eligible entities to apply for fiscal year 2019 funding for the Agricultural Conservation Easement Program (ACEP). The deadline to apply is Friday, April 19, 2019. Tennessee will accept applications for ACEP on a continous basis, but deadlines must be set to evaluate the application. 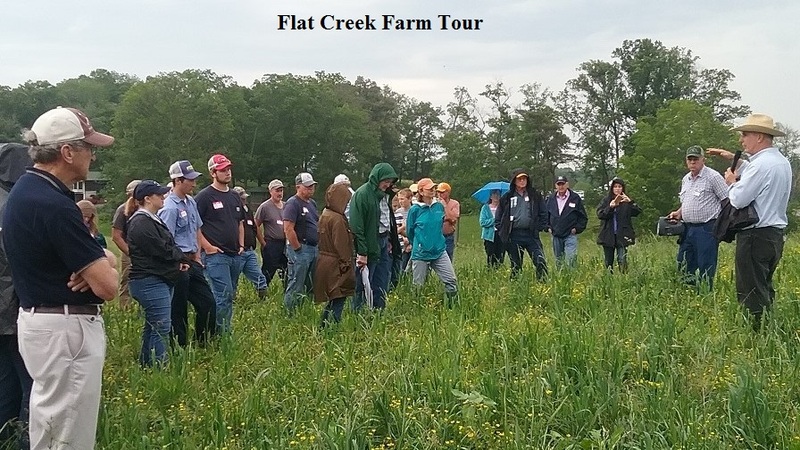 The Knox County Soil Conservation District (SCD) and Natural Resources Conservation Service (NRCS) Knoxville Field Office are working in partnership to help landowners in Knox County conserve their soil, water, and other natural resources. With cost-share funding provided by the Tennessee Department of Agriculture (TDA), the United States Department of Agriculture (USDA), and other associated partners, Knox County SCD and NRCS have infused over $700,000 into Knox County’s economy between July 1, 2011 and June 30, 2014. These funds turn over 7 times in the local economy, helping to stimulate our County’s economy to the tune of an estimated $4.9 million dollars in the past 3 years. Landowners in any County can apply for cost-share funding. There are a host of programs, both federal and state, that provide cost share funds for Ag BMPs. EQIP, the Environmental Quality Incentives Program, is the most commonly applied for federally funded program. It, like all other programs, is a reimbursement program, meaning that the landowner pays for the installation of the Ag BMPs up front, and NRCS reimburses the landowner after NRCS personnel ensure that the BMP was installed correctly. The reimbursement rate for this program is 75% cost share. That DOES NOT mean that the landowner willnecessarily receive 75% of his or her actual costs for installing a BMP. What it does mean is that the landowner will receive 75% of the statewide average cost of installing a BMP. It may cost $3500 on average to install a watering facility in Knox County, for example, while in Hawkins County it may cost closer to $2000 on average. NRCS takes the average cost of installing a watering facility over all 95 Tennessee counties and sets a “payment rate” for that practice each year. NRCS will reimburse a landowner up to this amount for installing that practice. These practices & associated rates are listed in NRCS’s “Payment Schedule”. NRCS publishes a new Payment Schedule each year to adjust for inflation and other variables. This way, we can tell a landowner exactly how much they will get paid for installing a practice, before they install it. TDA uses this payment schedule as well for their cost share programs. TDA’s most commonly used program is the Agricultural Resources Conservation Fund (ARCF). Your District has to apply each year for funding from this program. The State Soil Conservation Committee is a TDA committee and directs a set amount of funds each year to each District who applies for ARCF funds. This is where your Board of Supervisors comes in. Your Board of Supervisors is responsible for then directing those funds to landowners in your County. Depending on your situation, the Conservationist(s) will direct you to apply for one or more programs to increase your chances of getting your conservation plan funded with cost-share dollars. We walk you through the entire process to ensure your success. Please don't hesitate to call us with any questions you may have about our programs. We can be reached at (865) 523-3338 x 3, Monday through Friday 8am - 4:30pm. 15' x 300' rolls of 8 oz. fabric for $625/roll or $2.25 / ft.
15' x 150' rolls of 8 oz. fabric for $312/roll or $2.25 / ft.
15' x 300' rolls of 6 oz. fabric for $480/roll or $1.90 / ft.
15' x 100' rolls of 6 oz. fabric for $190/roll or $1.90 / ft. The fabric is located at the Knox County Engineering & Public Works warehouse at 205 W. Baxter Ave. adjacent to the Stormwater Building. Call us at (865) 523-3338 x 3 to arrange for someone to come and meet you there to pick up your fabric. Knox County Soil Conservation District partners with the USDA's Natural Resources Conservation Service (NRCS) to protect and conserve the natural resources on agricultural land in Knox County. The District and NRCS share field office space at the USDA Service Center located on New Harvest Lane. The two District employees are employed by Knox County and are managed by the Stormwater Department of Knox County as well as the Board of Supervisors. Knox County currently employs a Soil Conservationist and an Office Administrator. The District Conservationist and the Soil Conservationist are the only federal employees at the Knox County field office and manage the field operations and all federal contracts generated throught the Knox field office. The Knox County Soil Conservation District is supervised by a 5 member Board. The Board directs the funds of the State of TN Dept. 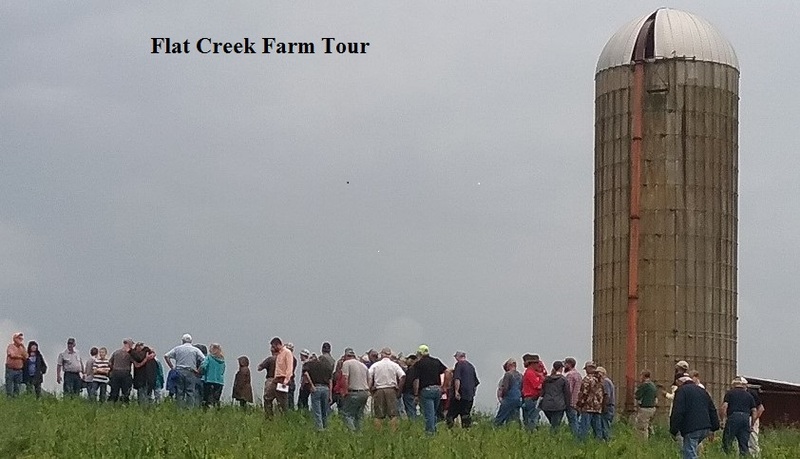 of Agriculture's Ag Resources Conservation Fund to local Knox County landowners who participate in the TDA's cost-share program. The Board has 3 elected positions and 2 appointed positions (each office serves a 3-year term, and elections and appointments are staggered so as to provide some continuity of Board makeup). Soil Conservation Districts in Tennessee hold elections every three (3) years for three (3) of the five (5) positions. The other two seats are appointed alternately during non-election years. Knox County SCD held our elections in March of 2016. From Left: Broadus Hubbs, Bill Hill, Annie Crawford, Calvin Thompson and Smiley Clapp. Call us at 865-523-3338 x 3 with any questions or concerns.